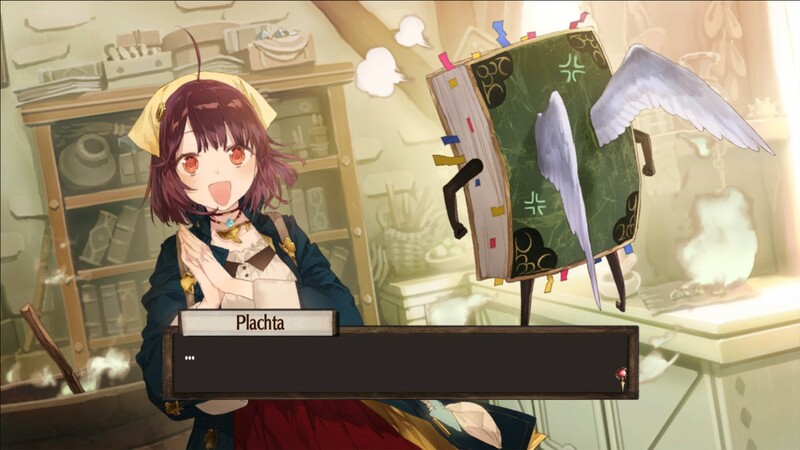 Atelier Sophie is a RPG developed by Gust and certainly a type of game I never expected to play, as it requires using and crafting items. 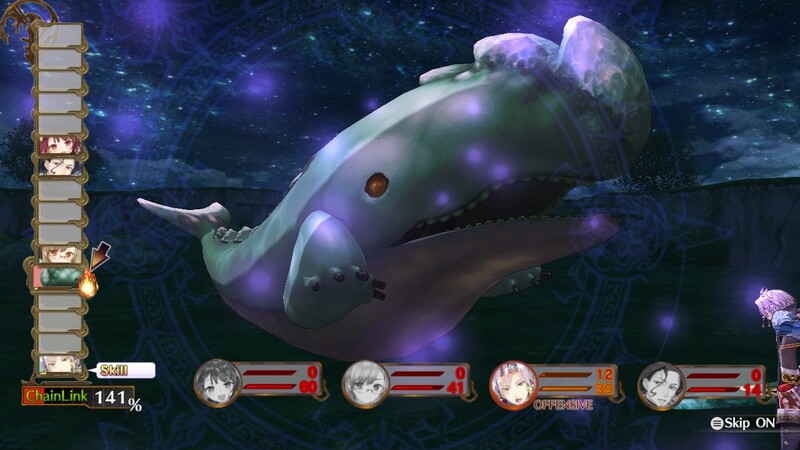 Having never touched any of the Atelier games, I didn’t know what to expect and the game surprised me a lot in many ways. But can it still hold up on Steam? And I should also note that I had a different experience compared to David’s review, which you can catch over here. Sophie doesn’t have a lot of talent, but she does have a lot of heart. The story follows Sophie, a young girl who wants to follow in the footsteps of her deceased grandmother and become the best alchemist to help her village. However, she is still a novice and needs to learn a lot. One day while in her work space, she comes across a talking and flying book named Plachta who is also an amnesiac. Despite that, Plachta is aware of a cauldron that can help Sophie become a great alchemist. 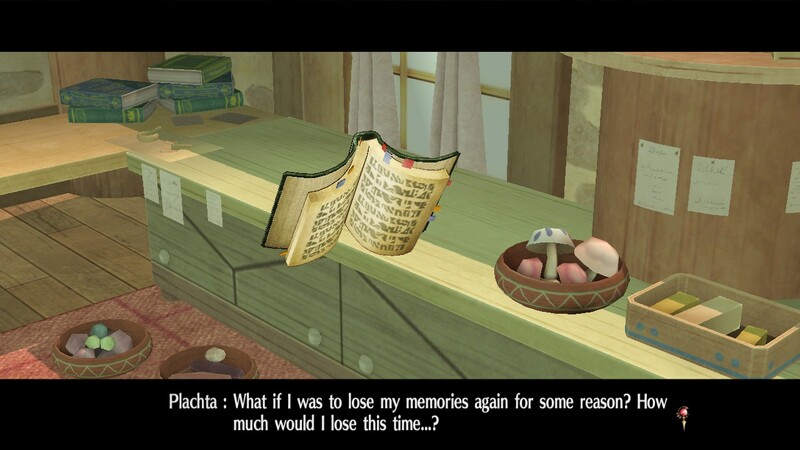 Sophie agrees to help Plachta regain her memories by learning more recipes and writing into the book in order to find said cauldron, though she also does it due to her good nature. The story is surprisingly a simple one, and very light in tone until about 20 hours in. The pacing can be slow a lot of the time, with conversations sometimes not yielding much in terms of interactions. It’s mostly just building the friendship between Sophie and Plachta as the latter tries to help Sophie become a great alchemist. The enjoyment of the story really depends if you like the characters presented throughout, as it is more character focused than most other titles. Though for the most part, I felt the story was fine, and the character development is fairly sound. Nearly every time you come back from an adventure, you are almost guaranteed to see new scenes revolving around the characters. A focus on characters over plot helps flesh out some party members. Sadly, the story starts to come apart when it tries to be more serious, at least with its main villain. They lack a real motivation to get me invested or add any depth to them. The backstory with them is fairly decent, but that and a tough battle are all they have going for them. But in the end, I didn’t really care about what was happening due to their lack of personal goals. This is unfortunately all I can say about them, given the spoilers. The presentation is decent, with areas being very bright and full of energy, even at night. There are a few areas that go against it, but sight isn’t the problem when navigating. Rather, it’s because areas in this game feel very cramped. It’s especially noticeable when trying to move past a foe you do not want to fight. Monster designs also repeat a ton throughout this game, with only the colors to help differentiate them. There are few unique looking bosses as well. The English dub is also fairly fine, although Plachta’s voice actor’s volume feels much lower compared to others. Plachta’s voice actor is nice, but it also sounds really low compared to others. And yet the music outshines just about everything. Depending on the strength between the player and a foe, it will change. For example, fighting a bunch of level one enemies while at level 10 will have more jovial music. However, fighting a level 21 enemy at level 14 will cause the music to get far more tense. Even during boss fights and against serious monsters, the music will grow fast and tense. If you are a fan of guitars, you’ll definitely like the combat soundtrack. It was shocking to find such music here. 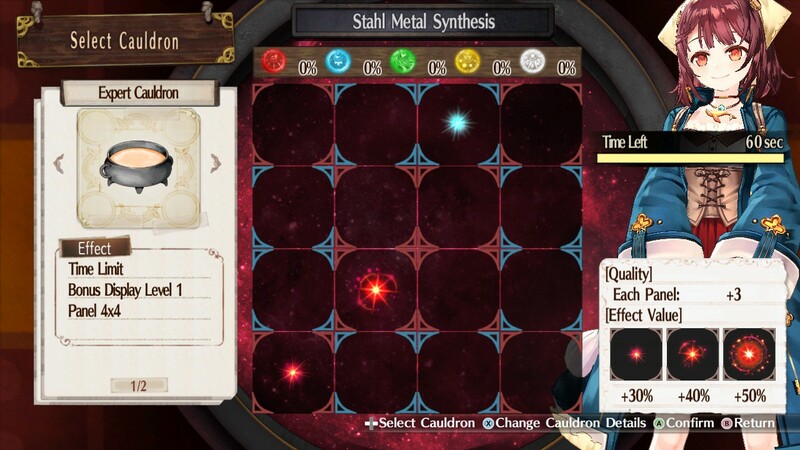 The Steam version also includes special BGMs of Gust and the Atelier series too. Then again, Atelier Sophie kept surprising me a lot in other areas, for better and for worse. The PC port seems to suffer from some bad framerate issues, though not during actual combat. This was surprising, given all the complicated moves. Rather, the alchemy is where it can take a nosedive. Not to unbearable levels, but considering that I had to use this feature a lot in order to progress through the game, it quickly got on my nerves. Perhaps the worst offender, though, was the unskippable credits as the framerate dropped, causing the ending song to slow down and ruin it. Outside of that, everything in combat remained surprisingly smooth with no dips in the framerate. The slowdown doesn’t become unbearable, but it is very annoying. And confusing. Gameplay is bit different from other RPGs in that you have to be the one to mostly forge your own gear and items. Shopkeepers sell generally inferior items to synthesize with, barring the occasional rare material and thus you must go to several areas in the world to hunt down better components. These areas are pretty small and often feel a tad tight, especially when there are monsters roaming about as well. Areas do have some slight variety in terms of looks, enemies, and items, and while they are numerous, it doesn’t stop the game from feeling a bit more of the same. It was also confusing to see the maximum level be 20, yet to level up more just to finally upgrade skills and gain passives. Usually this kind of thing in other games can be fused at once. Plachta in particular needs extra customization through using certain items to help craft her a better body. This in turn can give Plachta a multitude of costumes, which do include six outfits which were originally DLC in the PS4 and Vita versions. This is all dependent how the items buff her abilities. 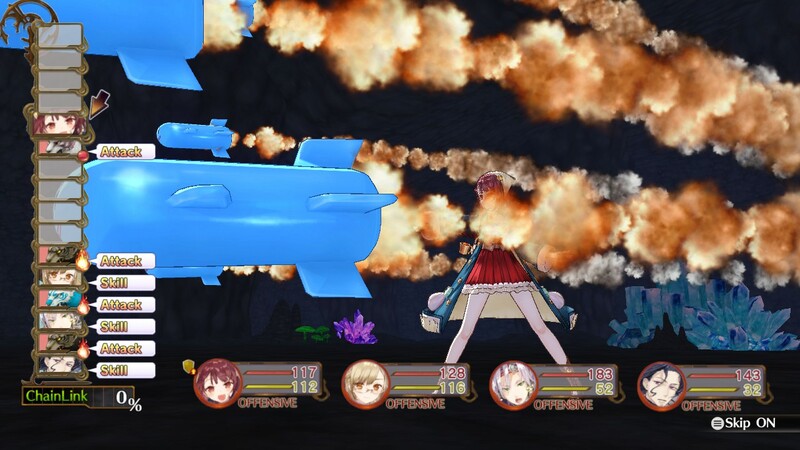 Sophie isn’t strong, but with her items like these missiles, she can become a beast! Alchemy is the game’s main focus, of course. You can’t even progress through the story without doing this. In order to mix materials, they each have a certain pattern that needs to be inserted into a grid. Only by upgrading the cauldron itself can you make this process easier, or by using materials that have smaller squares. However, that is not all. You can even transfer certain traits to certain items, allowing you to make them bigger, add stat bonuses, and much more. There are a lot of nice details here that can help create a vast difference in the items created. The combat is also fairly light in terms of tactics. Outside of the items and preparation, it mostly relies on the attack and defensive stances. 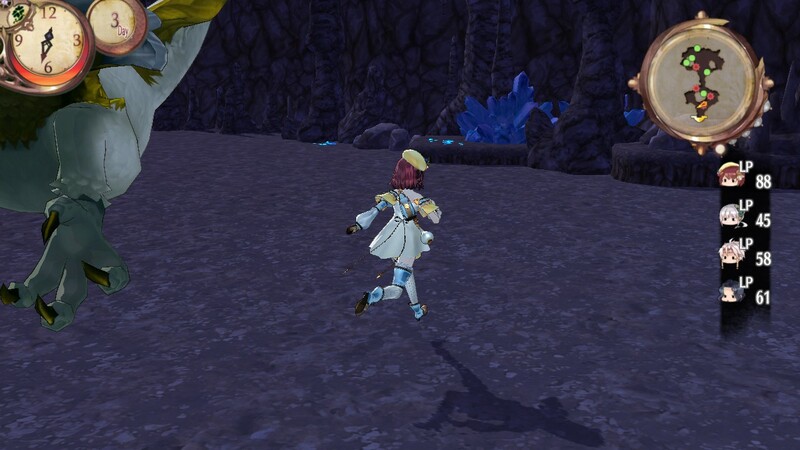 Depending on the turns, characters can do follow-up attacks, or defend one another from attacks. The higher the percentage gauge is at the bottom left, at around 200 or 300 percent, more unique moves can be pulled off. Really, the preparation felt more important in terms of tactics, but there can be some life-savers with this, like having your tank try to lessen damage for some characters with the defensive stat. The game also tries to limit combat as characters have a certain amount of LP that when depleted, a character will be weakened. Though because every trip was mostly a hunt for items and my basket would be full quickly, this was never a problem. However, that’s not to say there weren’t a few things that did not feel fair at all. One of the problems this game has are the rare monsters that show up via the rumor board. Sometimes, these enemies can dwarf your party quite easily, reaching to level 20 and beyond without any kind of warning. Without some kind of level indicator, it is possible to just waste your cash on these rumors, and you can’t even run from the encounters. The other issue is the spawn rate of enemies. There were times I would get into a tough fight, barely win, only to see the enemy respawn two seconds later. While you do have some invincibility to avoid fighting them again briefly, it can easily make you panic. And if you can’t get out in time, you’re likely to have to fight the same battle you just barely won. I DON’T WANT TO FIGHT YOU, JUST GO AWAY! 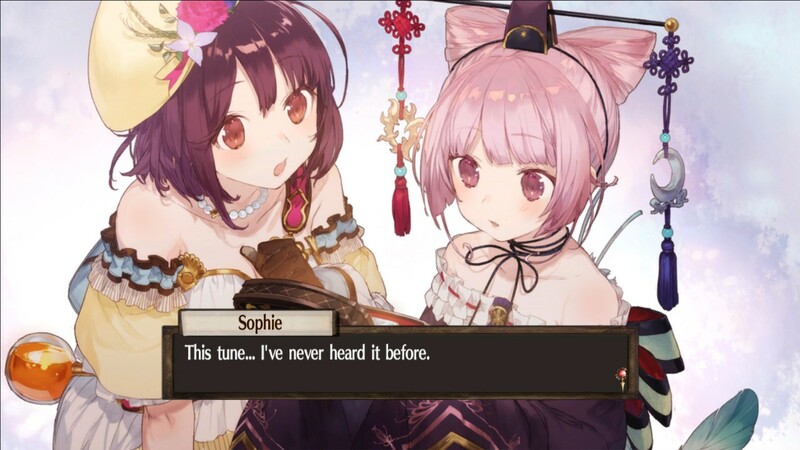 Overall, Atelier Sophie is a very average game. For every good thing I find here, I can find another few things that just feel average or were not planned out well enough. This is one game you may wish to get on sale as opposed to shelling out $29.99 at this moment. I was able to clear it in around 35 hours, and you can kill plenty more time messing around with the alchemy, so there is certainly a lot more to do.